Published: March 7, 2018 at 01:52 p.m. Updated: March 9, 2018 at 09:08 a.m. The Seattle Seahawks offseason makeover might leave a big hole in the Legion of Boom. NFL Network Insider Ian Rapoport reported Wednesday that Richard Sherman doesn't plan to be with the Seahawks in 2018. Sherman told teammates goodbye over the past 24 hours and he won't be with the team this season, according to sources. Sherman spoke with Seahawks general manager John Schneider and coach Pete Carroll on Wednesday, and the team is expected to explore its trade options for the cornerback, a source informed of the team's position told Rapoport. They could trade him or release him, or potentially keep him -- most likely at a different salary, Rapoport added. No final decisions have been made. NFL Network's Michael Silver reported Wednesday Sherman will be released in the next two days. "They're doing that because they feel so highly about him and what he's meant to the organization," Silver reported on NFL Total Access. "They want to give him a jump on free agency. I'm told that if the market is not great, they are open to bringing him back at a lower salary. They haven't closed the door on Richard Sherman returning, but I do think it's unlikely." Winds of Sherman's departure swirled on social media after fellow Seahawks defensive backs intimated something was up. The Seahawks discussed trading Sherman last offseason, but they ended up keeping him. Carroll said last week at the NFL Scouting Combine there was "nothing specific" to report on any trade discussions with Sherman this offseason. Sherman played just nine games in 2017 before tearing the Achilles in his right foot. Carroll said last week that Sherman recently underwent a surgery to clean up the Achilles on his left foot. 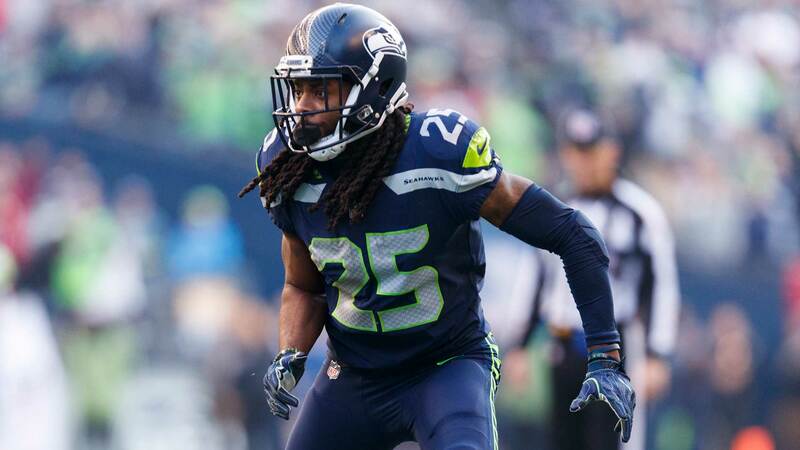 Sherman told NFL Network's Tom Pelissero on Wednesday the second surgery Carroll referenced was to shave off a bone spur that had bothered him for three years. The corner said he plans to be ready to be back on the field by June. Where he's playing at that time remains to be seen. Sherman is due $11 million in 2018. If the Seahawks are prepared to move on from Sherman, who turns 30 later this month, it will signal the biggest move in Seattle's offseason overhaul. The lockdown corner has been a leader of the Seahawks vaunted Legion of Boom, helping Seattle boast one of the most consistently stingy defenses in NFL history during their Super Bowl runs. The three-time All-Pro selection and four-time Pro Bowler leads the NFL with 32 INTs since entering the league in 2011 as a fifth-round draft pick. Sherman also leads the league in passes defensed (99) and completion percentage allowed (47.4) in that span (min. 300 targets), per NFL Research. Even as he ages, Sherman continues to be one of the few corners capable of blanketing one side of the field, making life difficult for quarterbacks. With: 18.3 points per game allowed; 318.9 total YPG; 217.9 pass YPG allowed; 35.5 opponent 3rd down percentage; 43.5 opponent red zone TD percentage. Without: 23.9 points per game allowed; 328.7 total YPG; 198.0 pass YPG allowed; 41.6 opponent 3rd down percentage; 52.6 opponent red zone TD percentage. Given his salary, age, and injury it would seem difficult to imagine Seattle would get much of a return in any potential trade. Sherman would, however, have a healthy market should the Seahawks cut him. Moving on from Sherman won't be final move as Seattle reshapes their team on the field after overhauling the coaching staff. Rapoport reported Wednesday the Seahawks agreed to trade pass rusher Michael Bennett and a seventh-round pick to the Philadelphia Eagles for a fifth-round pick and a player. Additionally, the potential departures of Cliff Avril and Kam Chancellor (both dealing with neck injuries), we will be looking at a very different Seahawks defense than the one that dominated the past seven seasons. Check out some of Richard Sherman's best moments with the Seattle Seahawks.